Designed for a family with 3 members in number travelling together to Udupi, Manipal & Mangalore to visit Krishna Temple, Manipal Hospital or other toursit places in Udupi & Mangalore. 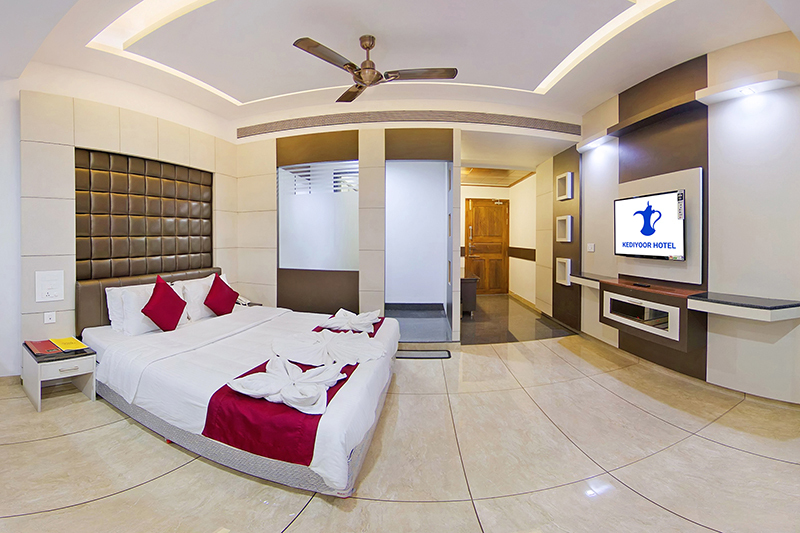 Super deluxe family AC room at Kediyoor Hotel designed to provide equal level stay to all by providing two double beds in the same room. 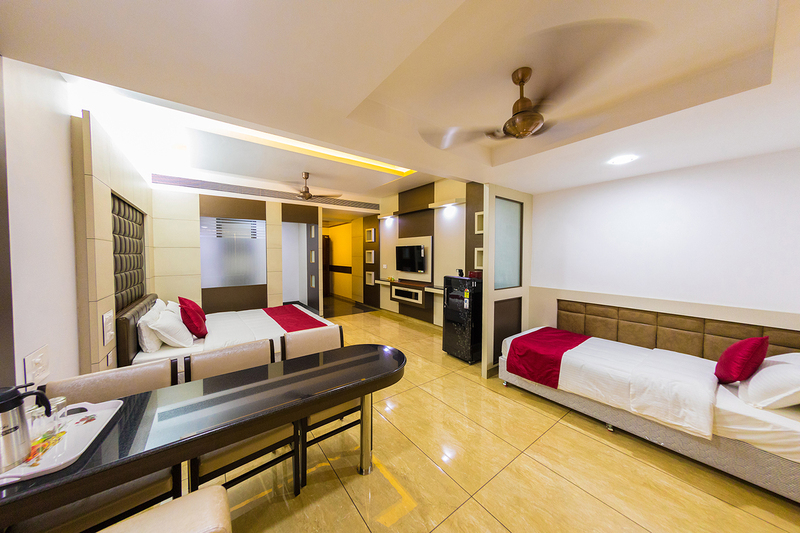 These air-conditioned rooms with 24 hour hot & cold water supply ideal for family or friends works out economical (instead of taking 2 double bed rooms) & brings sense of togetherness & erases all your weariness away with its distinct comforts and luxuries. Plus they have all the amenities and facilities that make your trip hassle-free and successful.